CROWN HEIGHTS — Tired of catching the B46 down Utica Avenue? 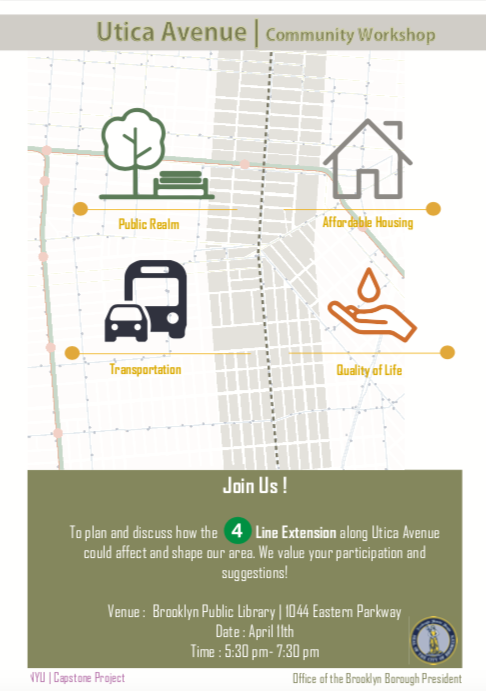 The Brooklyn Borough President’s office and a group of NYU students want to hear your thoughts on how extending the number 4 train, south along Utica Avenue, could shape your nabe. There’s a community workshop at the Brooklyn Public Library (Utica Avenue branch) at 1044 Eastern Parkway on Thursday, April 11. The event starts at 5:30 pm. The NYU capstone project will complement a new city plan to study the busy corridor. Recently, the MTA launched the Utica Avenue Transit Improvement Study to examine a range of transportation options. 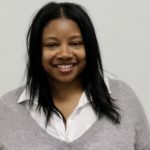 “I anticipate both studies, including the capstone analysis we’re supervising, will examine the feasibility and benefits of a wide range of options to improve the commute along this critical corridor, including bus, light rail investments,” said Stefan Ringel, communications director for Brooklyn Borough President Eric Adams. The idea isn’t new. In 2015, Mayor de Blasio allocated $5 million for the same feasibility study. Apparently, it never happened. The B46, which runs along Utica Avenue, services 44,000 riders each day. The Utica Avenue subway station, which connects commuters to what used to be considered a two-fair zone, is the 38th busiest in NYC. For Brooklyn, it the fourth busiest in the borough.